This petition has been created by SRAN S. and may not represent the views of the Avaaz community. We demand free sanitary wear for all who need it! Menstruation is not a choice. No one can abstain from periods. Menstrual hygiene is a basic human right. Access to accurate information about menstruation and adequate sanitary wear every month are essential to menstrual hygiene. Lack of access to sanitary wear and decent sanitation jeopardises the rights of girls and women to equality, dignity, health, education and decent work. All over the African continent, people miss school and work when they have a period because they don’t have sanitary wear. They risk infection from using newspaper, leaves, rags and other materials. They risk violence, exploitation, unwanted pregnancy and sexually transmitted infections when they engage in sexual relationships to raise money for pads. The baseless taboos and myths associated with menstruation cause stigma, stress, shame and embarrassment. This damages the self-esteem and well-being of millions of people who menstruate - in Africa and elsewhere. We don’t want charity, we want accountability. We want leaders who make good on their commitments. We want governments who allocate resources to meet the targets they have set to achieve the Sustainable Development Goals. Publicly pledge support for free sanitary wear for everyone who needs it. We call on you to turn the promises you have made in international commitments on sexual and reproductive health over many decades into reality. Menstruation is not a problem. No one would be here without it. Menstrual health should be prioritised like any other health need. 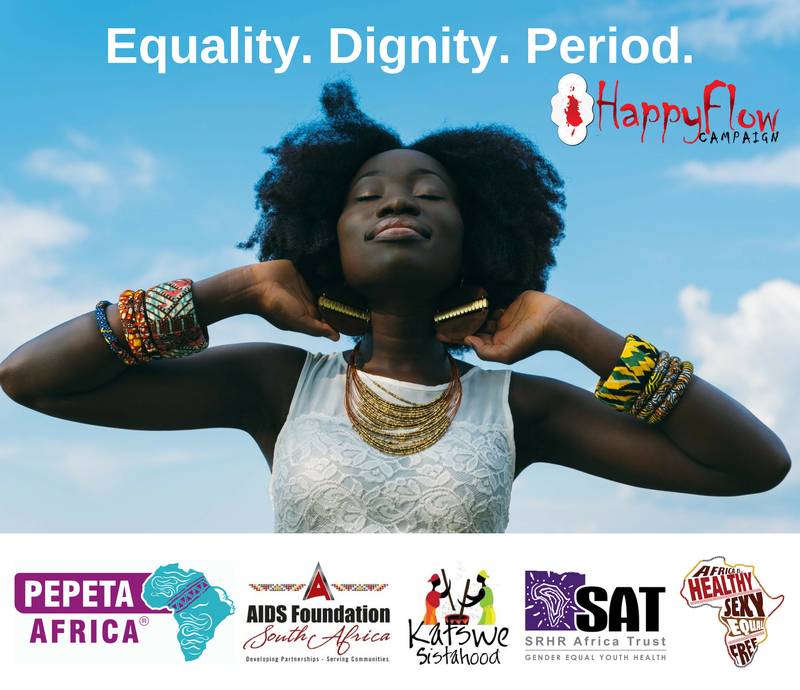 This petition is a contribution to ongoing efforts at local, national, regional and international level to make menstrual health rights and all sexual and reproductive health rights real for everyone.